Being that everyone has been enjoying our latest baby announcement post, we’re going to ride this baby wave and show you guys another. Just finished another set Josh and Michelle to celebrate the arrival of David, the newest addition to their family! 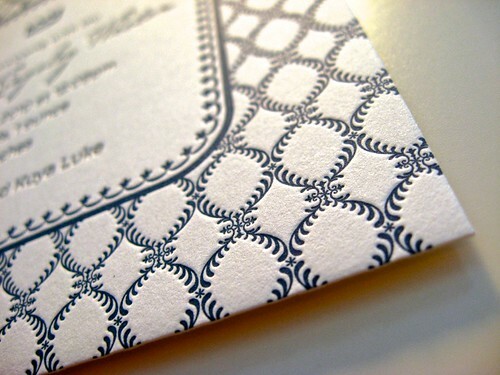 We designed these great pieces on 110# cotton paper with navy blue and metallic silver ink. 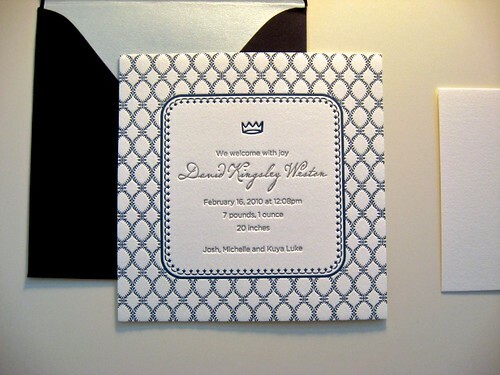 The invites are complimented with navy blue envelopes with a baby blue liner. 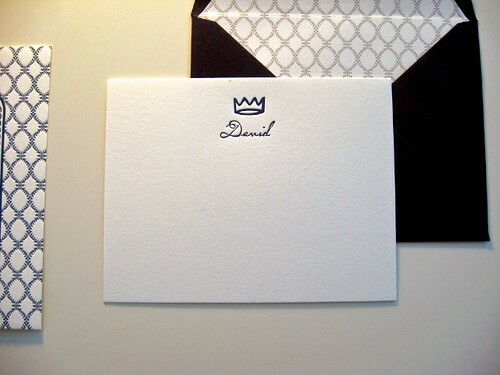 To top things off these announcements were paired with matching note cards that can be used for Thank you cards or just notes to the baby for the future, pretty awesome.